Santa Catalina School - Why All Girls? In all-girls classrooms, every student feels comfortable and confident sharing her ideas and contributing to the discussion. What she accomplishes and how she lives out her beliefs matter more than what she wears to school. The all-girls environment at Santa Catalina offers an ideal environment for young women to build confidence, leadership skills, and strong, healthy relationships with other girls. An all-girls high school experience is incredibly valuable because it fosters a supportive environment where girls are empowered to share their thoughts, become leaders, and take risks. At Santa Catalina, all the speakers, writers, singers, and athletes are girls. All the doers and leaders are girls. All-girls schools constantly create new leadership opportunities — in the classroom, in the science lab, on the playing field, or on the stage. Seeing fellow women in positions of responsibility inspires confidence and shows our students that they can step up and lead in every capacity. 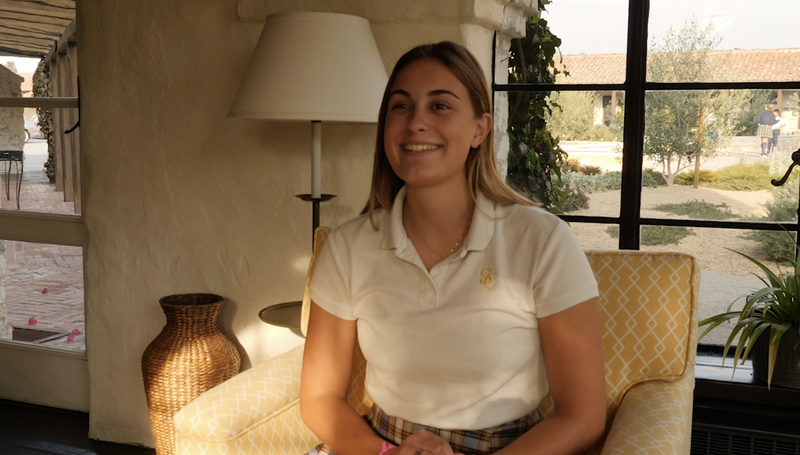 In the classrooms, on the athletic field, and in Study Hall, the all-girls community brings out the best in each Santa Catalina student. Here, school is about achievement and learning, helping girls to build confidence in their own abilities while establishing relationships with peers and mentors that are built on mutual respect. For even more research and information on the benefits of an all-girls education, visit the National Coalition of Girls' Schools website. 93% of recent all-girls school graduates report they were very or extremely satisfied with the individualized attention they received. 82% of recent all-girls school graduates say they were very or extremely satisfied with how well their school instilled self-confidence. 95% of recent all-girls school graduates say they were either very or extremely satisfied with the strong academic curriculum. 84% of recent all-girls school graduates give their schools top marks for providing leadership opportunities.